This weekend we were lucky enough to host a foraging workshop, led by the brilliant James Wood, from Totally Wild UK. What his man doesn't know about wild foraging opportunities isn't worth knowing! A few weeks back we were lucky enough to be graced with the BookWorm Players again, as they regaled us with another excellent performance, this time with the tale of Goldilocks and the 3 Bears. The BookWorm Players spin their own take on well known Fairytales and nursery stories, making them interactive, songful and child (and adult!) friendly. Cabbages, Cabbages Oh, Oh, Oh… This week was ‘Tractor Ted Week’ across the nursery. It has been lovely to see how each of the rooms have used and adapted this theme to ensure the children engaged in valuable, age appropriate learning experiences. Big Ted Comes to Visit! The team and children at Free Rangers celebrated Ted's Big Day Out on Friday 18th October 2013. We celebrated in style by wearing a hat or a wig and meeting Big Ted alongside the Heart FM Team. We enjoyed the afternoon with homemade Teddy Bear biscuits for our snacks as well as raising money which will be donated to Cancer Care at the Royal United Hospital. Back in November 2012 Free Rangers Nursery was made into a National Education Trust “Advocacy School” (Read this Blog Post for more info). As a result we are now involved in various training, CPD and Early Years NETwork programmes, and we would like to extend an invitation for local nursery owners, managers and practitioners to come be a part of the latest Three Counties Early Years NETwork programme. In March, a DfE sponsored training programme will begin based at 3 centres; one here in Somerset, one in Gloucestershire and one in the West Midlands. Please see the attached flyer for more detail. This programme of three sessions is fully funded by the Department for Education, so is completely free for you. Do take advantage of this fantastic opportunity. At present, there are places available, but act quickly so that you can take this opportunity to benefit from this free, high-quality CPD in your local area. If you would like to join, please contact Charlotte at Free Rangers Nursery at charlottefreerangers@gmail.com or call the nursery on 01761411328. For further information, contact Lucy Sumner at NET lucy@nationaleducationtrust.net. We look forward to welcoming you at Free Rangers Nursery! 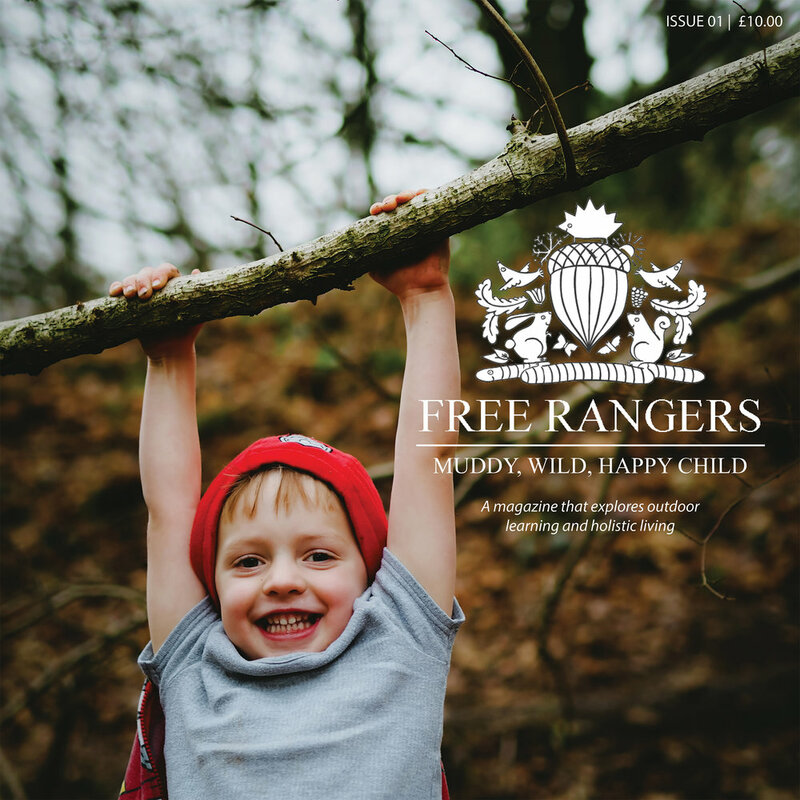 If you go down to the woods today........ Free Rangers is launching a "Stay & Play" Forest School programme at their new site, Brokerswood, near Frome. Our aim is to provide families with a feel of what Forest School is all about. We are running a free session on Wed 20th February from 9.30 - 12.30 for children aged 0 - 3 yrs. Refreshments will be provided. Places are limited so please do email charlottefreerangers@gmail.com or telephone 01761 411328 to confirm your space. So pull on your wellies and share some memorable outdoor experiences with your children! The fire is on, who's up for a brew at Brokerswood? The outdoor learning area at Brokers, the fire is on, who's up for a brew? As the winter sun warmed us, we strolled around Brokerswood with All Hallows Preparatory School, discussing the bespoke outdoor learning opportunities we could offer their students. From sessions focused around the International Primary Curriculum to boarders' BBQs, we discussed it all. Exciting times ahead! What a fantastic evening we had at the Free Rangers Bonfire Night. The pumpkin competition was amazing – with the prize having to be split between all the competitors due to the high standard of all the entrants. Ed’s fire was welcome warmth in what was a very chilly evening. Well done to all the children in the Den who helped create the beautiful paper lantern, which remained alight all evening! It is great fun inviting our families to celebrate with us at Free Rangers, something we like to do as often as we can. Keep your eyes peeled for the next one! We are holding a Parents Evening on Friday 27th January. This is an opportinuty for parents to come along and have a chat with staff and find out how your child is progressing. Please book an appoitment with your key worker. The Big Dig family morning was a great success. Holes for the poplar trees were dug, hundreds of bulbs were planted and a huge raised bed was weeded and dug over ready for Spring. Thank you for all your support.The Big Dig family morning was a great success. Holes for the poplar trees were dug, hundreds of bulbs were planted and a huge raised bed was weeded and dug over ready for Spring. Thank you for all your support.